Also available with BIG BROTHER & THE HOLDING COMPANY FEATURING JANIS JOPLIN, CHEAP THRILLS, PEARL and bonus disc RARE PEARLS in BOX OF PEARLS: THE JANIS JOPLIN COLLECTION. Also available with CHEAP THRILLS and PEARL in a 3-CD set. 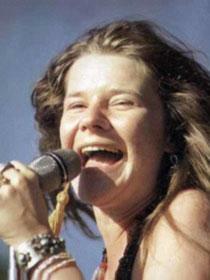 Personnel: Janis Joplin (vocals); Sam Andrew (guitar, background vocals); Terry Clements (tenor saxophone); Cornelius "Snooky" Flowers (baritone saxophone, background vocals); Luis Gasca (trumpet); Richard Kermode, Gabriel Mekler (organ); Brad Campbell (bass); Maury Baker, Lonnie Castille (drums). Producer: Gabriel Mekler. Reissue producer: Bob Irwin. Engineers: Sy Mitchell, Jerry Hochman, Alex Kazanegras. Recorded in June 1969. Live bonus tracks recorded at Woodstock Festival, Woodstock, New York in August 1969. Includes liner notes by John Byrne Cooke. 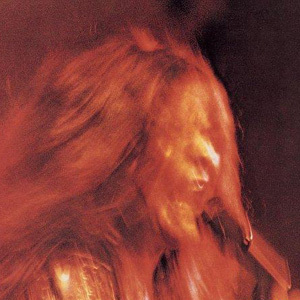 KOZMIC BLUES officially marks the start of Janis Joplin's solo career, using Stax-Volt-style horn arrangements and a backing band including guitarist Sam Andrew, who she brought along from Big Brother And The Holding Company. While the band proves to be mightily up to its task, Joplin's tortured, insistent, blues-soaked performances leave little doubt as to who's in charge here. With her whisper-to-a-roar dynamics and multi-octave range, Janis and The Kozmic Blues Band bury listeners in the soul blues. Her take on the Gibb Brothers "To Love Somebody" is impossibly funky. If she needs to make sure her man loves her enough, she'll "Try (Just A Little Bit Harder)" to let him know how she feels. While whooping it up at a wild, happening party, she enjoys all the fun but is really just looking for "One Good Man." Not many of the numerous Janis imitators in the US gained much notoriety, but it's certain that over in England, one Robert Plant was paying close attention.